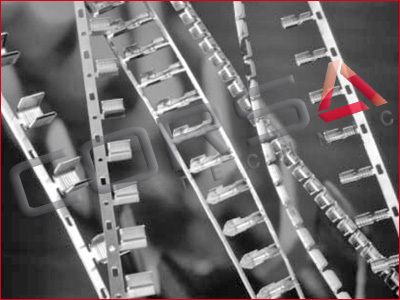 For crimped, environmentally sealed, wire to wire splicing. 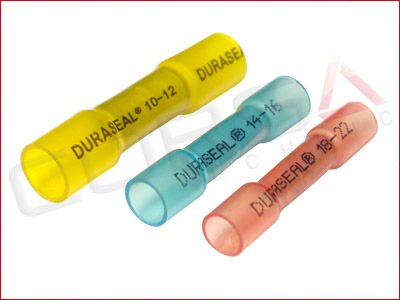 Protects splices from fuel, oil, water, salt, and corrosion. 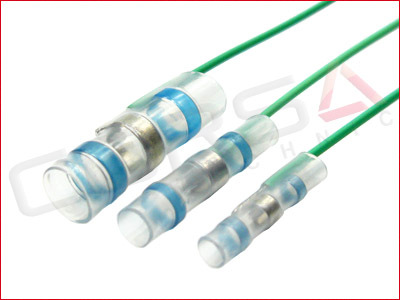 For "One-step" splashproof wire to wire splicing of wires rated for at least +85°C. For sizing, and how to select, refer to the Spec's document below. 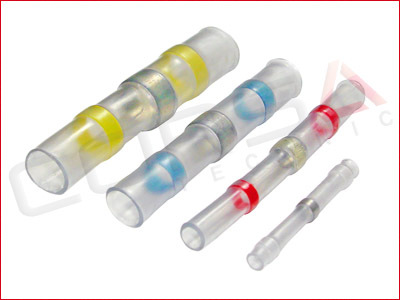 For "One-step" termination of a wire to the lead of a electrical component or terminal of a connector. Used for splash resistant shield termination, and coaxial cable termination of wires rated for at least +85°C. 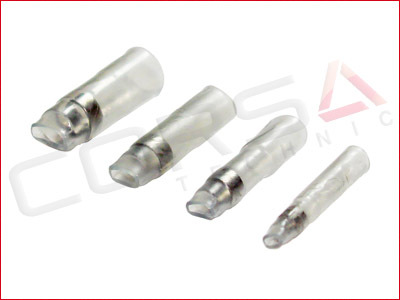 Preinstalled 22 AWG ground lead 6" long. 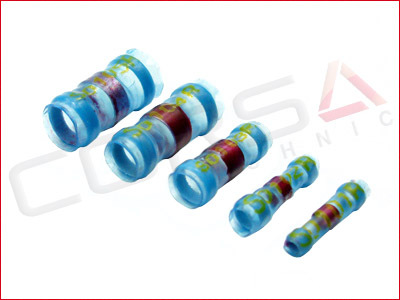 Used for immersion resistant shield termination, and coaxial cable termination of wires rated for at least +125°C. Splice terminal for branching or combining multiple wires together.